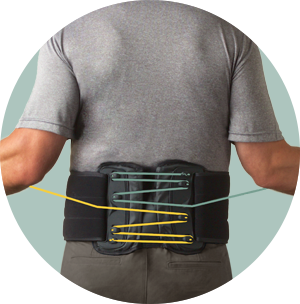 The Evergreen™ 456 TLSO delivers effective trunk stability and targeted compression within the thoracolumbar and lumbar region. 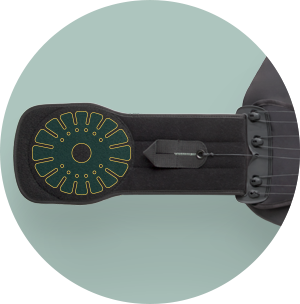 One size adjustable, the Evergreen 456 TLSO provides a level of support that brings patients back to a functional midrange while promoting a dynamic environment for healing from complex spinal conditions. It also comfortably fits waist sizes ranging from 28-54 inches and up to 64 inches with the extension panel, resulting in a significant savings in inventory costs and space. The Evergreen 456 TLSO is available in a one-size adjustable and original sized versions. 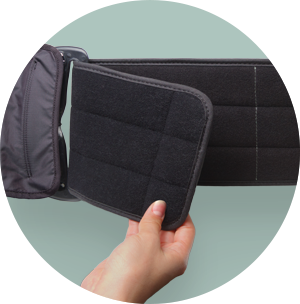 The support provided helps brings the patient back to a functional midrange and promotes a dynamic environment for healing from complex spinal conditions. 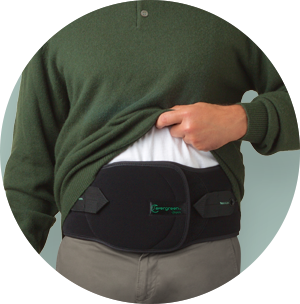 Evergreen braces are comfortable for extended wear and can easily be worn under clothing. Pull-through sizing mechanism allows for quick and easy adjustment, without the use of tools. Anterior panels at each end of the brace overlap to provide added midline support. Featuring Aspen's innovative FlexTabs™, these panels disperse pressure and naturally conform to each patient's anatomy to help increase comfort. Aspen’s patented 4:1 mechanically advantaged SlickTrack™ tightening system independently tightens top and bottom allowing patients to localize compression where they need it to support fatigued muscles that spasm.